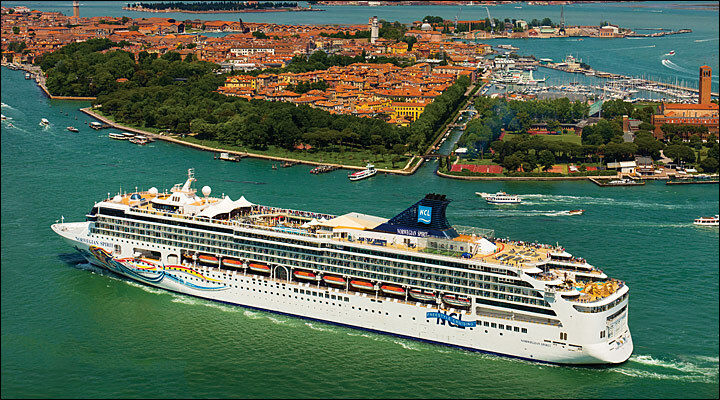 You will be traveling in style on Norwegian Spirit – recently renovated in 2017. While onboard make a trip to the Tivoli Pool, soak in one of the four outdoor hot tubs, or take the kids to Buccaneer's Wet and Wild. That's just the beginning - with 14 delicious dining options, 12 bars and lounges, the Maharaja's Casino, and the Roman Spa & Fitness center at your fingertips, you're ready to have a vacation of a lifetime! Serving a wide variety of culinary delights to please every palate, the complimentary dining options include two main dining rooms, a help-yourself buffet and a variety of casual cafés, grills and on-the-go choices. Or enjoy a night of gastronomic proportions at one of the many specialty restaurants. Sip your favorite cocktail as you select from choice cuts of Certified Angus Beef at Cagney’s Steakhouse. Enjoy delicious pasta made with the freshest ingredients inside the chic Italian eatery, La Trattoria. Or savor French cuisine at Le Bistro. No matter what you choose, any dining option will feature the tastes you’ll crave. From the stages of the Stardust theater you’ll be singing along, moving your feet and getting into the groove. Laugh all night long with the comedians or join the signature bash, the White Hot Party. It’s showtime. All the time. With so many bars and lounges to discover, finding your favorite may take a few days. Pop some bubbly and toast to the good life inside Champagne Charlie’s Champagne Bar. Dance until the wee hours at Bollywood-inspired Maharini’s Lounge & Nightclub. Or go German with several premium beers at Bier Garten. Whether you’re looking to meet up with friends or make new ones, there’s always an opportunity to mix it up. 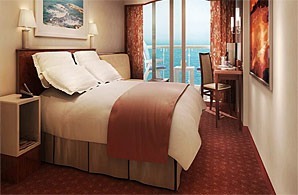 These Inside Staterooms are the most affordable way for you to cruise. 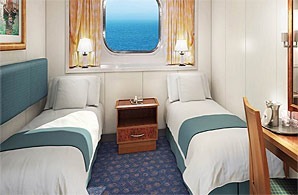 With room for up to four, you'll have two lower beds that convert into a queen-size bed and additional bedding to accommodate two more. Approx. Size: 149 sq. ft. 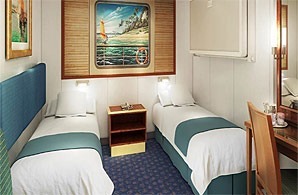 These Oceanview Staterooms located on a higher deck, can accommodate up to three guests and come with two lower beds that covert into a queen-size bed and additional bedding to accommodate one more. 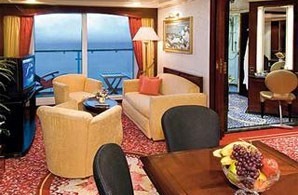 You'll also have a big picture window to enjoy the amazing view. Approx. Size: 157 sq. ft.